...........Johannes Mehserle shot Oscar Grant III. on the ground surrounded by three police officers. and will spend less than two years in jail for his criminal conviction. Kevin Simmonds is a San Francisco-based writer, musician and filmmaker originally from New Orleans. His books include the poetry collection Mad for Meat and two edited works: the poetry anthology Collective Brightness: LGBTIQ Poets on Faith, Religion & Spirituality and the late poet Carrie Allen McCray's Ota Benga under My Mother's Roof. He wrote the music for the Emmy Award-winning documentary Hope: Living and Loving with HIV in Jamaica and Voices of Haiti: A Post-Quake Odyssey in Verse, both commissioned by the Pulitzer Center. His genre-defying films, including feti(sh)ame and Singing Whitman, have screened internationally. Split This Rock began the Poem of the Week program in October 2009 as a way of publicizing the poets who were to be featured in the 2010 festival. We have since continued Poem of the Week--post-festival and in the off years--by featuring poems by poets who were registered participants in Split This Rock Poetry Festival: Poems of Provocation & Witness 2008, 2010, and/or, now, 2012! Poem of the Week sends one poem per week on a social issue to a wide audience: Split This Rock's list serv and Facebook group (now totaling over 3,000 nationwide, combined), and the national and international networks of the Institute for Policy Studies. We also post the poem here on the blog. We encourage everyone who receives the poem to forward and post it widely, so that it reaches a broad public. · To be considered for Poem of the Week at this time, you must have been a registered participant at the 2008, 2010, or 2012 festival - volunteers and scholarship recipients included - or a featured poet. · Please send up to three short poems (poems of 40 lines or under work best) as a single email attachment in Word to: info@splitthisrock.org. The subject should read: "[Your last name] POTW submission." · Include, in the cover e-mail, your full contact information (name, address, phone, email address) and a bio, up to 75 words. · Poems may have been previously published in a book, chapbook, or paper journal, but not on the web, please. If previously published, you must own the rights to the work. Please include the citation, including the web address of the publisher, so we may link to it. · Poems will be featured on a rolling basis. We will consider poems for summer and fall if they arrive by May 31 and for the winter and spring if they arrive by November 30. · Please only submit once per reading period. A poet will only be featured once in Poem of the Week. · We will contact you if your poem is accepted to confirm details, and may request additional information at that time. Many thanks. We look forward to reading your poems! much like one of our own? Here hang the years . . . Originally appeared in The Missouri Review. 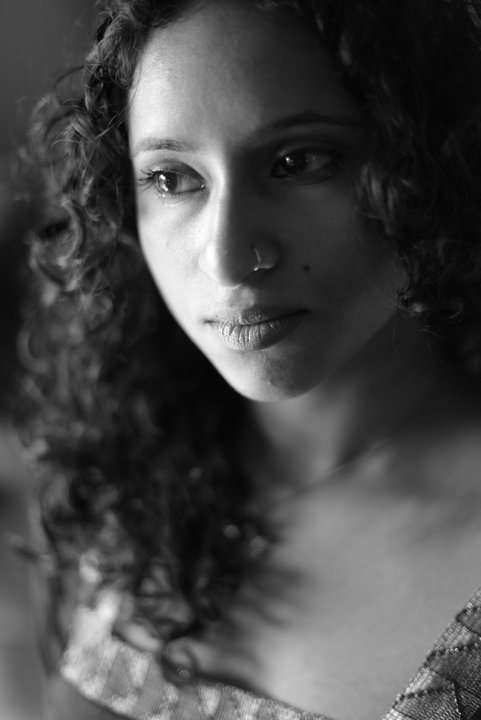 Tarfia Faizullah's poems have appeared or are forthcoming in Passages North, New Ohio Review, Ploughshares, The Missouri Review, and elsewhere. A Kundiman fellow and a graduate of Virginia Commonwealth University's creative writing program, she is the recipient of a Fulbright Fellowship, a Bread Loaf Margaret Bridgman scholarship, a Kenyon Writers Workshop Peter Taylor fellowship, and other honors. She lives in Washington, DC, where she helps edit the Asian American Literary Review and Trans-Portal. This is a big thank you to all the folks who answered Split This Rock's online survey about the 2012 festival. There are over 100 returns, a stunning response rate for this kind of thing. I’d like to tell you a little about what was learned and how your feedback will make 2014 a better festival. It’s clear that for many people, the festival got it right – the program, the logistics, and the vibe. It means a lot to us organizers to hear this. It buoys us, even as we are going through festival post-partum melancholy. And on and on. But even the contradictory responses have value. Every comment has a kernel of truth in it; the question is how to tinker with the existing model to meet the concern behind the comment. For example, we could do a better job with transportation for folks who could use some help getting around. We’ll look into ways to do that in 2014. That way we can continue to hold the festival in the historic U Street neighborhood (an important part of the Split This Rock experience) while mitigating the impact on the less mobile folks. The acoustics in the True Reformer Auditorium – I can barely express how excruciating it was for me to sit in on great sessions like Beauty is a Verb or How Vets Heal and watch the bad sound system distract from the amazing program. We used that space several times in the past without these issues but something had changed in the PA system. We are discussing the problem with the owner of the space (who provide it for free) – hopefully they will figure out the issue by 2014, or we won’t be using that space again. To the presenters and audiences who suffered through those sessions, our deepest apologies. Empty seats at a sold-out event? – This one will haunt me the rest of my days. As the festival approached, we were tracking registration numbers closely. Once we included comps, volunteers and others, we found that we had over 500 folks with the right to a seat on any given day. Given that the capacity of the featured poet reading venue was 380, we had real concerns about overselling. I discussed the issue with as many experienced events management folks as I could, including the former director of the annual AWP conference. Most people encouraged me to be conservative since turning ticket holders away would be a real buzz kill. What I failed to account for was the behavior of the pass holders; that is, no one goes to everything. We’re going to review our registration data closely to better understand the attendance patterns. (That’s why there were questions about attendance on the festival survey.) Also, we’ll look into creating policies that will allow us to oversell, like only guaranteeing seats until 15 minutes before the event. Regardless, it absolutely killed me to see empty seats at the readings. I hope (for the sake of my own karma) that the folks who got shut out can forgive me. Finally, there was an interesting thread that wove through many of the suggestions: In one form or another, folks want us to create structures that would more intentionally foster community building during the festival. These ideas were both practical (like having someone to walk with so as not to get lost) and personal (like having a means for participants attending solo to connect for group meals). Although the festival is already warm and welcoming, I love that the wonderful people who come want even more ways to connect. We’ll consider ideas to do this in 2014: Turning the gym at Thurgood Marshall into a coffee house? Arranging regional meet ups? Setting up a dinner matching board? What are your ideas? Then to come to the 2014 festival to find out what we do. And if you do, we’ll ask for your opinion on it. Joseph Ross is part of the vibrant literary community in the Washington, D.C. area. His poems appear in many anthologies including Collective Brightness: LGBTIQ Poets on Faith, Religion and Spirituality, Come Together: Imagine Peace, Full Moon on K Street, and Poetic Voices 1 and 2. His work also appears in a variety of journals including Poet Lore, Tidal Basin Review, Beltway Poetry Quarterly, Drumvoices Revue, and Sojourners. He has read at the Library of Congress and been nominated for a Pushcart Prize. An early member of D.C. Poets Against the War, he co-edited Cut Loose The Body: An Anthology of Poems on Torture and Fernando Botero's Abu Ghraib. He founded and directs the Writing Center at Archbishop Carroll High School in Washington, D.C. and has taught writing at American University. He writes regularly at JosephRoss.net. (WASHINGTON, DC) The O.B. Hardison Poetry Series at the Folger Shakespeare Library presents an evening of poetry with The Dark Room Collective on Monday, April 30 at 6:30pm. Nothing Personal features Collective members Tisa Bryant, Thomas Sayers Ellis, Major Jackson, John Keene, Tracy K. Smith, Sharan Strange, Natasha Trethewey, and Kevin Young. In 1996 The New Yorker deemed them “…a group that could turn well out to be as important to American letters as the Harlem Renaissance.” The evening will also include a discussion moderated by Meta DuEwa Jones and a reception with book sales and signing. Tickets are $15 for adults and $7.50 for students and may be purchased at Folger box office, 202.544.7077, or online at www.folger.edu/poetry. 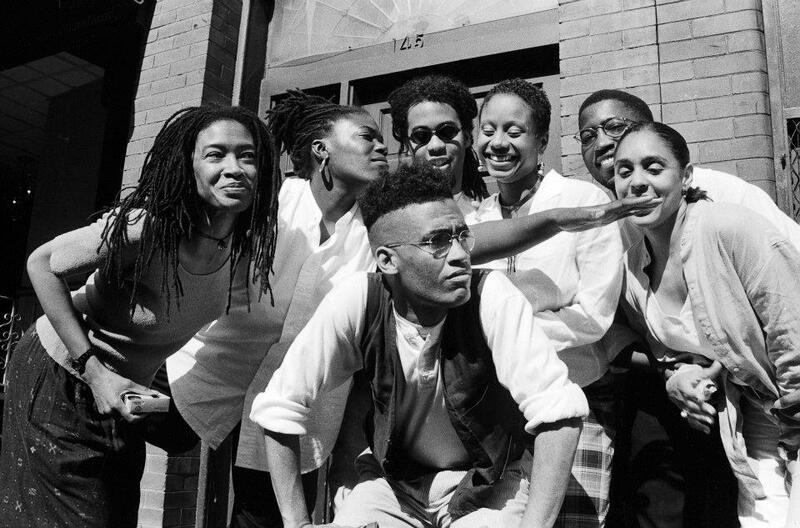 Founded in Boston in 1987 by Thomas Sayers Ellis and Sharan Strange, The Dark Room Collective began as an informal community of African American poets. Poet and member Major Jackson described the Collective as “a group of aspiring black writers and artists who spanned outwards with large arms to embrace any black writer who had a sophistication and commitment to art and artfulness.” The group has gone on to distinguished careers, winning awards and marking literary achievements for their exuberant works. Tisa Bryant works with innovative hybrid formats, including essays, prose poetry, cinematic novels, and ekphrastic writing. She explores the relationships between artist, art, and viewer with a focus on ethnicity, sexuality, identity, and myth. She wrote Unexplained Presence and Tzimmes, and is co-editor of War Diaries, an anthology of black gay male desire and survival, which was nominated Best LGBTQ anthology by the LAMBDA Literary Awards. She is a faculty member at California Institute of the Arts. Multi-talented Thomas Sayers Ellis is a poet, photographer, and co-founder of The Dark Room Collective. “The fine and noble tradition of protest poetry is in safe, strong hands with this latest collection,” wrote the New York Journal of Books about Ellis’ recently published SKIN, INC.: Identity Repair Poems. Ellis is the author of The Maverick Room, which won the John C. Zacharis First Book Award, and was a recipient of a Mrs. Giles Whiting Writers’ Award. Ellis is an assistant professor at Sarah Lawrence College, a faculty member of the Lesley University, and a Caven Canem faculty member. With his story-telling poetry, Major Jackson celebrates the complexities and subtleties of the American landscape, its people, and their environment. He has written several collections of poetry, including Hoops and Leaving Saturn, which was winner of the Cave Canem Poetry Prize and finalist for a National Book Critics Circle Award. 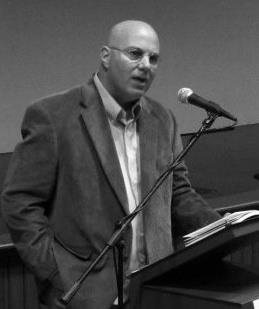 Jackson is a professor at University of Vermont and a core faculty member of the Bennington Writing Seminars. He serves as the poetry editor of the Harvard Review. John Keene explores identity and its many facets, from race and social class to sexuality, with the rhythmic craft of his poetry and prose. He is the author of the award-winning novel Annotations and of the poetry collection Seismosis. He has received many fellowships, a 2005 Whiting Foundation Award in Fiction and Poetry, and a 2008 Fellowship for Distinguished First Collection from the inaugural Pan-African Literary Forum. He is an associate professor of English and African American studies at Weinberg College of Arts & Sciences, Northwestern University. Tracy K. Smith’s poetry questions love, loss, and social justice, as well as examining God, death, and the impact people have on each other and the planet. She has written three books of poetry: Life on Mars, Duende, and The Body's Question. Smith is the recipient of the 2002 Cave Canem Poetry Prize, a 2004 Rona Jaffe Writers Award, a 2005 Whiting Award, and the 2006 James Laughlin Award of the Academy of American Poets, and was Literature protégé of the Rolex Mentor and Protégé Arts Initiative. She is an assistant professor or creative writing in the Lewis Center for the Arts at Princeton University. With Southern wit and direct eloquence, poet Sharan Strange describes the beauty and pain of life, family, neighborhood, childhood wonder, and innocence lost. Strange, a co-founder of The Dark Room Collective and a contributing and advisory editor of Callaloo, is the author of Ash, a collection of poems. Strange has been a writer-in-residence at Fisk University, Spelman College, the University of California at Davis, and the California Institute of the Arts. She is a professor of English at Spelman College in Atlanta, Ga.
Pulitzer Prize winner Natasha Trethewey writes about the working-class in the South, showing personal journeys in the landscape of history, and drawing on her own experiences for enrichment. Her first collection of poetry, Domestic Work, was the winner of the Cave Canem Poetry Prize for the best first book by an African American poet and won both the 2001 Mississippi Institute of Arts and Letters Book Prize and the 2001 Lillian Smith Award for Poetry. Trethewey’s other works include Native Guard, which received the Pulitzer Prize for Poetry, Bellocq's Ophelia and a book of creative non-fiction, Beyond Katrina: A Meditation on the Mississippi Gulf Coast. She is a professor of English at Emory University. Kevin Young draws inspiration from African American music and American history in his poetic tales full of sorrow and insight. The New York Times Book Review described his book Black Maria as “highly entertaining, often dazzling, and, as book reviewers like to say—but rarely about contemporary poetry—compulsively readable.” Young has written seven books of poetry, including Ardency: A Chronicle of the Amistad Rebellion and Jelly Roll: A Blues, which was a finalist for the National Book Award and the Los Angeles Times Book Prize, and winner of the Paterson Poetry Prize. He is a professor of creative writing and English, and curator of Literary Collections and the Raymond Danowski Poetry Library at Emory University in Atlanta. Moderater Meta DuEwa Jones, Ph.D specializes in poetry of the 20th and 21st centuries, particularly in relation to gender, sexuality, performance, and music. Her book, The Muse is Music: Jazz Poetry From the Harlem Renaissance to Spoken Word, was noted as “an important addition to the growing literature about jazz poetry” by Choice. Jones is co-director of the Texas Institute for Literary and Textual Studies, as well as an associate professor of English and African American studies at University of Texas at Austin. PARKING: Street parking in neighborhood. Split This Rock is Hiring - Please spread the word! 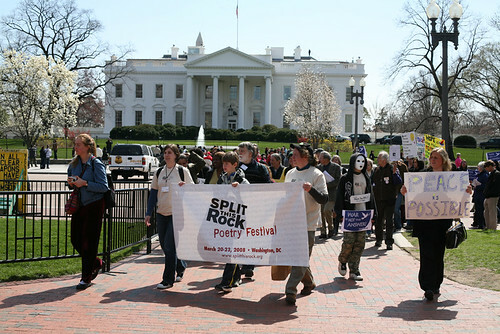 Split This Rock calls poets to the center of public life and fosters a national network of socially engaged poets. From our home in the nation’s capital we celebrate poetic diversity and the transformative power of the imagination. All of Split This Rock’s programs are designed to integrate poetry of provocation and witness into public life and to support the poets who write and perform this critical work. The Assistant Director’s role is to provide organizational, fundraising, and programmatic support to further Split This Rock’s mission. The mix of duties varies based on the cycle of the organization; during festival years, the festival is the primary focus. In off years, the focus will be on organizational development, fundraising, and Split This Rock’s other programs. Reporting: The Assistant Director will report to the Executive Director and will work in partnership with staff, board members, and volunteers to assist in preparation, organization, implementation, and documentation of Split This Rock’s programs. To apply, submit a résumé, writing sample, and thoughtful cover letter to info@splitthisrock.org with “Application for Assistant Director” in the subject line. Deadline: April 30, 2012. No calls please. The Chesapeake Writers Conference - New this year! Join a community of writers on Maryland's beautiful Western Shore for the first Chesapeake Writers' Conference at St. Mary's College of Maryland. For five days we will focus intensively on writing in small, selective workshops led by acclaimed writers. Participants will work with faculty closely to hone their craft in one of six genres:fiction, poetry, creative non-fiction, food writing, writing about place, and writing for children. Craft classes, lectures on writing, and discussions of publishing will supplement the intensive workshop experience, and recreational activities will allow participants to explore and enjoy the beaches, bays, wineries and restaurants of the region. Visit http://www.smcm.edu/summer/writing for submission and regisration information. We begin here a series of reports from panels and workshops that took place during Split This Rock Poetry Festival 2012. Many times, folks asked us to post discussion notes or suggested reading lists that emerged from sessions. To kick us off, Celeste Doaks brings us the list generated by her panel on essential reading for the new American classroom. Please comment to add your suggestions to this list and/or make requests for notes from other sessions, etc. See the full festival schedule here. If you'd like to post your session notes, please contact us at info@splitthisrock.org. Let's keep the conversation going! The wonderful participants who took their time to attend our panel entitled "Should We Traverse from White-Out to Brown-Out, or Land Somewhere In Between? Female Teachers Rewriting the Literary Canon in the Classroom" were gracious enough to help us begin an initial list of poetry and prose that was either being omitted, ignored or overlooked from the typical literary canon.